On this page will be some poetry...I am not much of a poet (I really am not good at this kind of stuff) but none the less I will try my best. I will also include some poetry I have found and that I really enjoy. And wrapped me in your wings. Then I've ever felt before. And I don't let things get to me personally. To been neither seen nor heard? To see what my super heroe power would be. How much like real life. You can find more of my poetry at my other site. 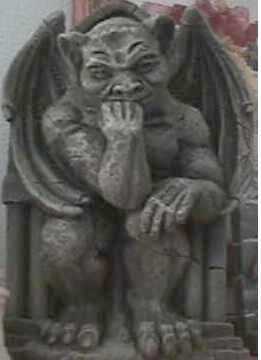 Just click on the gargoyle below.